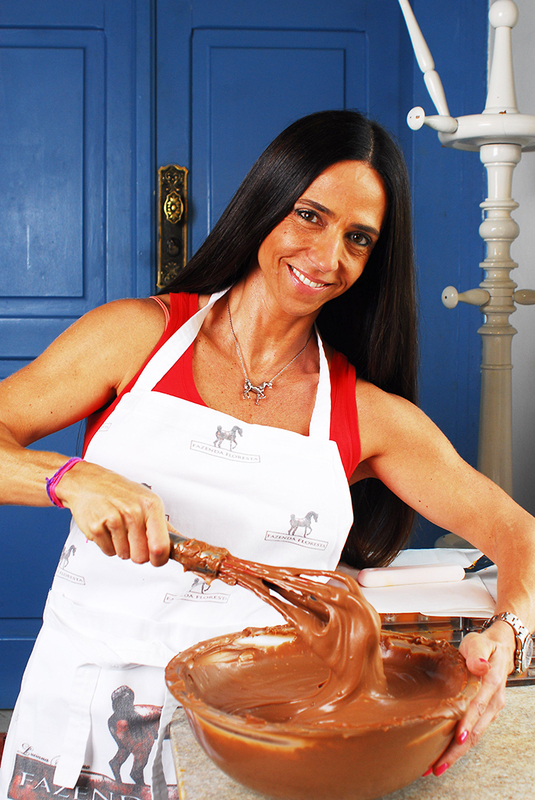 Growing up in Brazil, Luciana Fasano ate chocolates every night; it was a family tradition. Her father brought home a selection of homemade chocolates every Tuesday and Thursday. In this way, Luciana developed her palate. She learned to see, feel and taste the difference between the ordinary and the divine when it came to chocolate. Her passion led to a ritual whenever she traveled around the world - she would try the finest chocolate of every country she visited. When it came to this indulgence, she developed a practical philosophy, “Never risk losing your figure for any chocolate except the best!” Many years went by. Many countries were visited. And many chocolates were savored. In 2010, one of Luciana’s other passions resulted in a dream come true. “A very special Arabian horse entered and changed my life”, Luciana explains. His name was AAS Elishahh. “ This spectacular stallion ignited my passion, not only for Arabian horses, but for all of life itself”, explains Luciana. As a way to express her gratitude for the love she shares with Elishahh and all her stallions, Luciana made a logo based on a wooden sculpture of Elishahh that had been gifted to her. At that moment her passion for Arabian horses and chocolates coalesced: she decided o use that logo on chocolates to give to fellow horse breeders as a symbol of their shared affection. Thus were Fazenda Floresta Chocolates conceived and the reaction was beyond expectation - soon everyone was clamoring to taste these exquisite chocolates! Luciana recounts: “Every recipe was created from scratch with each filling requiring many days and taste tests to perfect. We sourced the world’s best chocolates and ingredients and then combined those with the exotic organic fruits that had been growing at the Fazenda Floresta Farm since it was founded in 1843. For more than three years we have been experimenting with various flavors and trying them out on our friends and family. “The farm has become a laboratory of experimentation and inspiration. 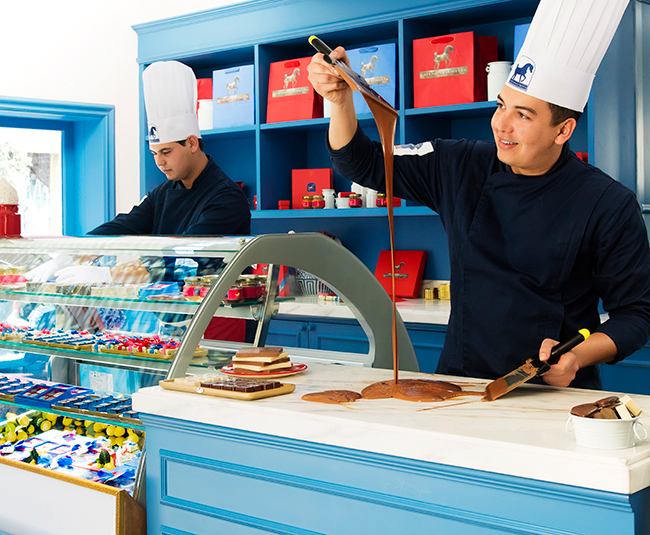 “My chocolate team has worked so hard and, along with my love of color and packaging, the Fazenda Floresta Chocolates reflect all of our combined talents”. Today we are blessed with friends and fans insisting that we make this chocolate available for sale so that they can gave them whenever they want. To that end the chocolate factory at Fazenda Floresta is nearing completion. As we await that happy day the Team and I continuously strive to innovate and improve our product line.